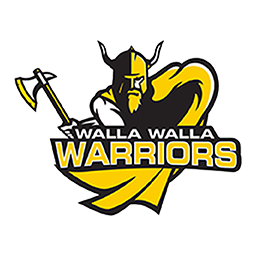 OREGON CITY, Ore. — There wasn’t much to write home about here Tuesday as Walla Walla Community College’s men’s and women’s golf teams finished in the back halves of their respective fields in the Warner Pacific University Invitational at the Stone Creek Golf Course. WWCC’s men’s ‘A’ team finished ninth and a Warriors’ ‘B’ team was 10th in a field of 11 squads in the 54-hole competition on the 6,692-yard par-72 Stone Creek layout. Walla Walla also entered two women’s teams and finished fifth and seventh over 36 holes among seven squads who competed on the same par-72 course over 5,808 yards. Weather and course conditions were challenging. Corban University’s ‘A’ team finished first in the men’s tournament with an 869 total for its top four scores over three rounds of play. Corban finished just two shots ahead of second-place Oregon Tech after the two teams went into Tuesday’s third round deadlocked at 571. College of Idaho finished a distant third at 896, 32 strokes off the pace, followed by Southwestern Oregon 898, Grays Harbor 907, Corban’s ‘B’ team 926, and Northwest Christian and host Warner Pacific tied at 944. 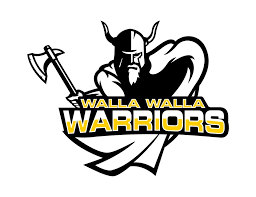 Walla Walla’s ‘A’ team finished 954, the Warriors’ ‘B’ team 982 and Multnomah was last at 1,044. Corban’s women’s team also paced the field with a 649 tally for its top four players over two rounds on the rain-drenched 18-hole course. Oregon Tech finished second, three strokes off the lead at 652. It was another 36 strokes back for third place College of Idaho at 688, followed by Southwestern Oregon 742, Walla Walla’s ‘A’ team at 763, Northwest Christian 796 and the Warriors’ ‘B’ team 862. Chris Carew of College of Idaho and Devery Stewart of Corban shared men’s medalist honors as they finished four shots under par after three tours around Stone Creek. Carew put together rounds of 68, 71 and 73 for his 212 total while Stewart shot 69, 70 and 73. Conor Lees led the Warriors as he tied for 16th place with Reed Burroughs of College of Idaho at 11-over-par 227. Lees shot 75 to begin the tournament, improved to 74 in the second round and finished up with a 78. The other WWCC men’s scores: Brendan Collins 231 and tied for 26th, Marcus Equsquiza 232 and tied for 28th, Aubrey Fautheree 238 and 39th, Cole Henderson 242 and tied for 43rd, Jarrett Johnson 244 and 45th, Mark Janta and Austin Khile 250 and tied for 50th, Kevin Cummings 252 and 53rd, and Wyatt Utt 273 and 54th. Janelle Ferlan of Oregon Tech was the women’s medalist with a 5-over-par 149 total, the product of an opening-round 76 and a follow-up 73. The Warriors’ Brooke Orr put together rounds of 87 and 90 for a 177 total and finished in a tie for 16th to lead the WWCC contingent. The other WWCC women’s scores: Brooke Cramer 185 and tied for 20th, Camryn Cox 187 and 23rd, Lindsey Shearer 205 and 29th, Ally Chapman 214 and 31st, Kaitlyn Whitley 215 and 32nd, Jordyn Watkins 218 and 34th and Kaylee Rawson 233 and 35th. Michaela Garcia and Cynthia Deville scored 108 and 134, respectively, in the first round before withdrawing. Next up for the Warrior golf teams is the North Idaho College-hosted NWAC tournament Sunday and Monday at the Avondale Golf Course in Hayden Lake, Idaho.